Why would I need self storage in Bethesda, MD? There are a variety of reasons why you might need self-storage in Bethesda, MD. How much is a storage unit in Bethesda, MD? The cheapest storage unit in Bethesda, MD is $64.00 per month. What size storage units do you have available in Bethesda, MD? In Bethesda, MD we have sizes that range from 5'x5' to 10'x20' to suit your storage needs. How much is it for a 5'x5' storage unit in Bethesda, MD? The cheapest 5'x5' storage unit in Bethesda, MD is $64.00 per month. Conveniently located just 7 miles northeast of Washington, D.C, Bethesda is known as one of the wealthiest and most highly educated places in the U.S. Situated in Montgomery County, Bethesda boasts numerous educational facilities, excellent transportation links and many entertainments options. The Washington Metropolitan Area Transit Authority provides an easy link between Bethesda and Washington, D.C., offering a quick and easy commute for Bethesda locals. Throughout the 1700s, the area where Bethesda now sits was settled by tobacco farmers, remaining a fairly quiet rural community for most of the century. The development of the Washington and Rockville Turnpike in the early 1800s turned Bethesda into a rural way station, prompting the development of a small settlement and a local store near the tollhouse. The community was called Darcy's Store until 1871, but was eventually renamed Bethesda after a nearby church. Bethesda didn't seem much growth or development until 1890, when a city streetcar line was constructed. After this, residential subdivisions began to spring up on old farmland and a number of wealthy businessmen constructed mansions in the area. War in the mid-20th century spurred further growth, fueling Bethesda's economy and helping it grow into the bustling city it is today. Bethesda attracts new residents with its proximity to the nation's capital and low unemployment rates. The community's major employers, like the federal health care organization National Institutes of Health, hospitality corporation Host Hotels & Resorts, real estate company First-Potomac Realty Trust and financial organization The Calvert Group, regularly draw highly educated and experienced professionals from all over the nation. In the Bethesda area, unemployment tends to stay below the national rate, thanks to numerous thriving industries. Some of the community's biggest job markets include education and health services, leisure and hospitality, trade, transportation and finance. Bethesda students attend Montgomery County Public Schools, many of which are have been recognized for their academic performance. There are many private schools in the city, including parochial, Montessori and Waldorf campuses. Utilities: You have the option to choose your own electricity provider in Bethesda, with the most common options being BG&E, First Energy/Potomac Edison and Pepco. Washington Gas is the city's natural gas provider. You'll receive water and sewer services from the Washington Suburban Sanitary Commission. Garbage and Recycling: You can expect regular collection of trash and recyclables in most residential areas of Bethesda, though schedules and programs may vary by neighborhood. Transportation: Public transportation options in Bethesda include the Washington Metro's Red Line, the Maryland Transit Administration's Purple Line and several local bus routes. Personal Vehicles: You'll need to obtain the proper vehicle registration from the Maryland Motor Vehicle Administration. 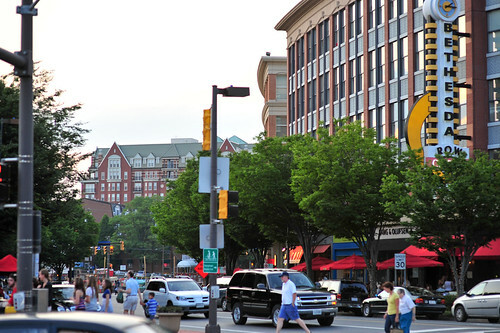 Bethesda offers an upscale mix of leafy residential streets and high-density urban living. The bustling downtown area offers an attractive lifestyle with its many art galleries and restaurants, while family-oriented communities are typically made up of older homes and local parks. The Bethesda housing market is very expensive, with a median home price that's more than four times the national average. However, that's to be expected when you consider its close proximity to Washington, D.C., its many amenities and its growing popularity. Our lowest priced units in Bethesda, MD average $64.00 per month. 44 people have reserved units in Bethesda, MD in the past 30 days. There is 1 location within Bethesda, MD's city limits.